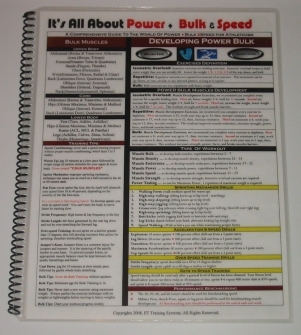 Superior power, bulk (size and definition) and speed is desired for sports such as baseball, basketball, football, hockey, track & field and others. Obtaining greater power, bulk and speed can instantly raise an athletes performance to an elite stardom level. This program contains a step by step Strength and Conditioning process for developing athletes who need or desire greater power, bulk and speed. This program illustrates how to develop Power & Speed two of the most powerful, athletic talents. Our strength workout covers barrier breaking, power development, muscle endurance, density and definition exercises. Our speed workout covers sprinting mechanic drills, acceleration & speed training drills and over-speed training drills. As competitive as athletics are today, at all levels, the 3 things that makes great athletes greater is their ability to add different aspects to their game. Power and bulk muscles are generated by a combination of muscle development exercises and conditioning. Speed is generated by a combination of power, speed and acceleration drills that develops drive, force, momentum, acceleration, stride length, stride frequency, speed muscles development (fast twitch muscles) and conditioning. 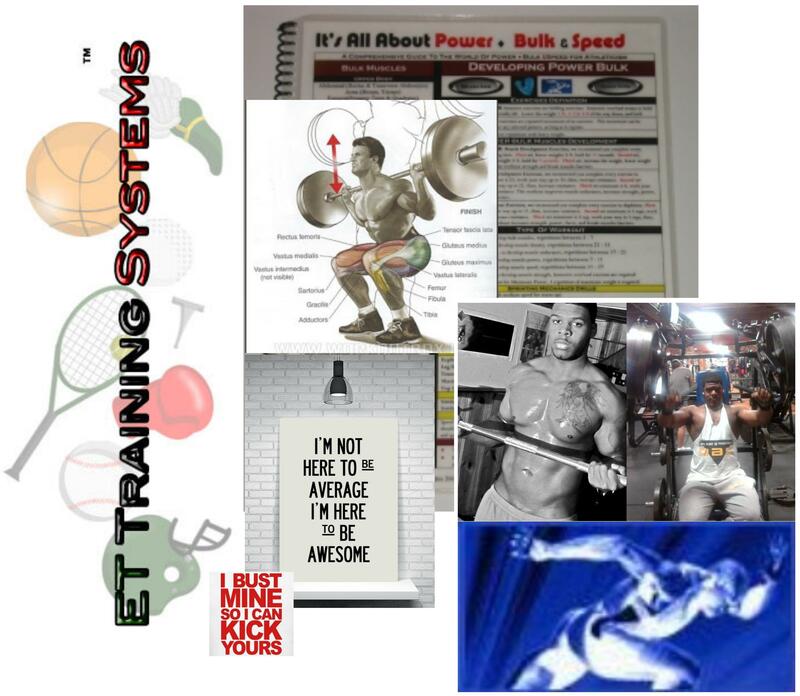 All of these components and more are included in our comprehensive do it yourself Power, Bulk and Speed Training Program. The key to our workout development program is to optimize, maximize, condition and balance an athletes muscular potential. The net result of this type of workout is a player with dynamic power, agility, lightening speed, quickness, flexibility and overall athleticism. This is an advanced workout and should only be used if you are an experience weightlifter for more than 1 year. The minimum age requirement for this program is 16. This program is not recommended for athletes under the age of 16.We recommend our "It's All About Speed Program", it covers power and speed training for youth and athletes not looking for bulk. Your growth plates should have completed the growing process before you proceed with this workout.